Although state law can vary, divorces typically begin with one spouse filing a document called a "complaint" or "petition" with the appropriate court. That spouse then has a duty to deliver or "serve" a copy of this paperwork on the other spouse. If you are the receiving spouse, it is important that you review every statement contained in the complaint, and then file and deliver a copy of your own response in the form of a written "answer." Each state has its own format that the answer must take as well as rules on how long you have to respond. Usually, failure to timely respond can result in your spouse receiving everything she asked for in the complaint. For this reason, you may choose to seek the assistance of an attorney or legal document provider to determine your initial rights and responsibilities in the divorce. After the basic divorce paperwork has been filed, your divorce will move forward. Because the process can take several months to complete, your spouse may ask the court to resolve property, support or child custody and support matters on a temporary basis -- meaning until the divorce can be finalized. If you disagree with your spouse's request, you may need to do so in writing within a certain time frame. The court will then likely hold a brief hearing. At the hearing, you will need to have some basis for your objections or support for any arrangement you propose. For instance, in a temporary hearing for child custody, you might try to persuade the judge that the best interests of the children favor you having sole custody, which might be based on the fact that you currently live in the marital home and any disruption on the children's lives would be minimized during the divorce. Once the temporary orders are in place, you will then exchange information with your spouse through a formal process called "discovery." It is at this stage that you can determine specifically where you and your spouse disagree, and what your spouse has to substantiate her position. Having a basic understanding of the state laws that apply to the facts of your divorce can be very helpful. For instance, if your spouse filed for divorce on the grounds of adultery and you dispute that you had an affair, you may ask your spouse and any of her witnesses to answer written or oral questions regarding what they saw or heard through "interrogatories" and "depositions." You may also ask to review all of the evidence she has, such as a videotapes and phone records. This will help prevent any surprises at trial and give you greater confidence in your case going into the final divorce hearing. On the date of the final divorce hearing, you and your spouse will have an opportunity to fully present your case to the judge. This means that you may defend yourself by questioning her witnesses, called "cross examination." You may also submit your evidence and examine your witnesses to attempt to build a stronger case in your favor. By carefully studying the rules regarding evidence and witnesses in advance of trial, you will have a better sense of the kinds of questions the court will allow and what you may object to from your spouse. 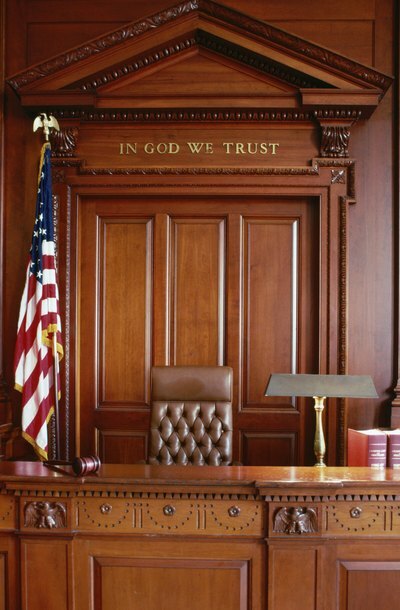 At the close of the hearing, you are often given a chance to make a final statement to the judge. Here, it can be helpful to briefly summarize the information presented and how the law favors your position over that of your spouse.